We have family and friends who are excellent surfers. I on the other hand, not so much. I’ve tried surfing on a traditional board a couple of times and on a paddle board a few times. On a surfboard you have NOTHING to do but stand up, stay centered, keep your balance and stay connected with the board…..it takes every little muscle in your body and mind to stay on that board. For a surfer who has done it a lot it has become second nature, they just ride the waves and if they fall, they know they’re still tethered to the board–they’re safe. For a newby, it seems impossible. 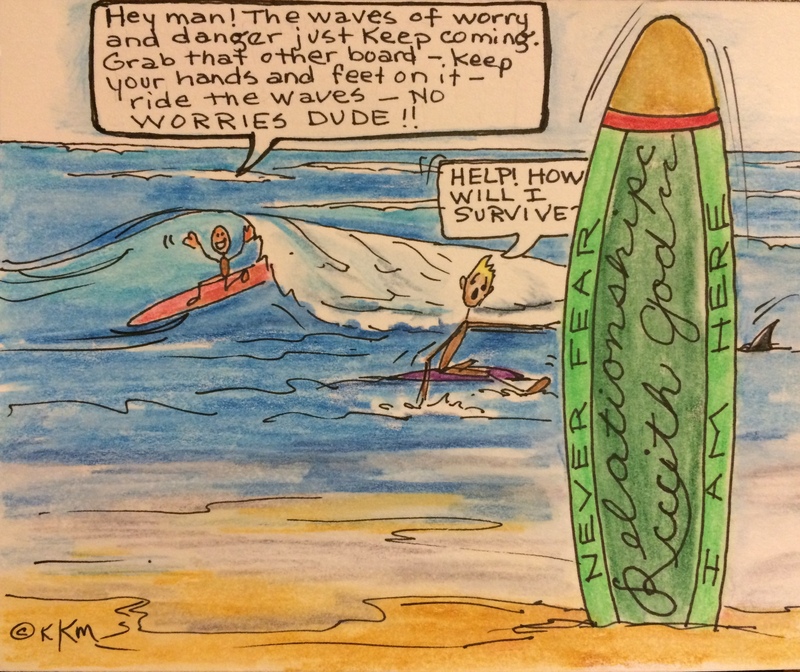 I had better success on the paddle board–probably because I had something to do–paddling–which sort of helped me keep my balance, but I still had to concentrate with every part of my being to stay atop when the waves came in. Overall, surfing will never be my thing, even though in my head it looks like a blast. Jump on your long-board and let’s go surfing! !